With just three days to go before the Windsor Castle wedding of Prince Harry and Meghan Markle, the castle kitchens are a hive of activity. The lucky 600 invited to dine after the ceremony will not be offered a sit-down dinner, but a buffet lunch of "bowl food", The Daily Mail reported on Monday. This style of dining—where guests remain standing as they are served mini main courses—is all the rage in business circles as it allows guests to move around, socialising and networking as they eat. According to Britain's Press Association the canapés, cooked up in the Windsor Castle kitchens by Queen Elizabeth II's personal chef Mark Flanagan, are designed to be devoured in two bites. The larger prepared dishes are also designed to be eaten while standing. The official residence of Prince Harry, Kensington Palace, declined to comment. On Monday, during a press visit to his kitchens, Flanagan boasted that the dishes are all based on seasonal British produce, much of it from the royal estates. He also said the royal couple had been "involved in every detail" of menu preparations. A separate dinner is also planned at Frogmore House, close to Windsor Castle, with 200 guests invited. Harry and Meghan have spent their last weekend as an unmarried couple in a picture postcard cottage they rent in the Cotswolds, a region of rolling hills in the west of England. There they are relaxing ahead of the wedding, when the eyes of the world will be on them. "The run-up to the wedding has been quite stressful for them and they just wanted to get away and relax before the big day," a friend told tabloid The Sun. The couple may have escaped the gaze of the public, but they remained under the watchful eyes of their security staff. The Sun source noted that blacked-out Land Rovers had been spotted in the area, ferrying teams tasked with their protection around the countryside. Kensington Palace was treated to an unwelcome surprise when it emerged that Markle's father Thomas Markle—set to walk her down the aisle on Saturday—had defied their pleas for secrecy by agreeing to pose for a paparazzi photoshoot. 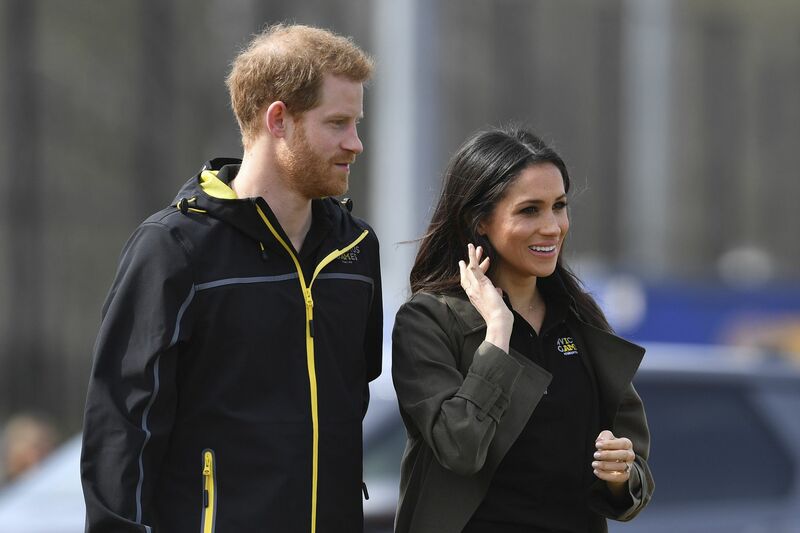 The offending images, showing him being measured for a suit and admiring a photo of the future royal couple on his computer, sold for $100,000 (83,000 euros, £74,000) according to tabloid the Daily Mirror. A source close to Thomas Markle, cited by the publication, said he was convinced after being hounded by the paparazzi. He is now said to feel "like a total fool" who has been "scammed". The misadventure has led to Kensington Palace warning against the publication of photos stolen from Thomas Markle, and pleas for the media to respect his privacy. Eurostar also announced Monday that it has seen a bookings boom in the number of passengers travelling to London on the day before and the day of the wedding. "Friday May 18 is the day which will see the most traffic, with 10,000 arriving in London. The rise in travel between Brussels and London is the most noticeable, with a 54 percent rise in comparison to 2017", Eurostar said in a statement, also noting that travel from Paris is up 15 percent. Kensington Palace on Monday announced that Prince Harry and his fiancee will stay at separate hotels in the Windsor area. Harry will stay at Coworth Park along with his brother Prince William, who is his best man. Markle will stay at Cliveden House Hotel with her mother Doria Ragland, a yoga teacher. Weddings Who Will Design Meghan Markle's Wedding Dress?